I was rather excited when I was sent the new Hask Mint Almond Oil products to try! Firstly, I can’t begin to start this post without mentioning the absolutely AMAZING smell of these products! Both the conditioner and shampoo smell of mint – It’s such a refreshing scent and I love the beautiful glossy shine it left behind. The shampoo is the real winner for me – I love this stuff. You only need a small amount to get a rich lather and it rinses easy. I notice my hair right after I had dried my hair that it felt fuller after just one use. It seems to help lift the hair at the root and adds much more body than other shampoos– it’s awesome! Great smell, thick conditioner, which makes it easy for detangling hair in the shower. I used it as directed and my hair became noticeably smoother and less frizzy. It is a fairly thick but it’s easy to blend into the hair. I’ve found this conditioner leaves my hair feeling silky smooth and looking healthier. It never weighed my hair down or left it feeling greasy. A little of this Root Thickening Spray is all I need to smooth any fly aways and moisturize the ends of my hair. It’s nice and light so it doesn’t weigh hair down but it does smooth it out and add shine. It smells really good and I almost don’t need to wear perfume with this. I love this new Hask Mint Almond oil product line range, and has definitely solidified its position as my favourite shampoo and conditioner! I would recommend this product to anyone who wants to boost and restore lifeless locks. Plus this product line is Free of: sulfates, parabens, phthalates, gluten, drying alcohol and artificial colours ’cause who wants to put that in their hair?!? Here’s a list of stores that carry this brand here in Canada and the United States. Make sure to Follow & Like! What’s your favourite Hask product? My indulgence is some great aromatherapy in the shower – these sound so awesome! Thanks for the review. Always love hearing about brands new to me – and mint is SO me!! I love the sounds of the scent. I really like it when my hair can have a nice scent to it. I’ve never heard of this brand before, but I love mint so I’m sure I would love this! Thank you for sharing! You had me intrigued with the almond mint scent, but you sold me who you said that it really added body by lifting at the roots. 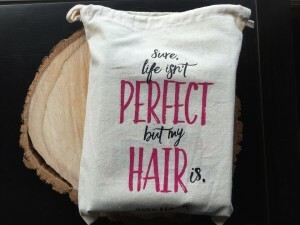 That is exactly what my hair needs. I need to look for Hask. I’ve been really interested in try this line out, so thank you for the review! I’ll definitely be checking them out now. I’m getting that for sure!! Love trying out new hair products. Recently, I’ve been in love with the shea products. They are great for the skin and hair! I love the smell of mint and have many of my products that contain the scent. I’ve never heard of this brand or used it before but I’m sold on it! I hadn’t heard about the brand either. But I love all the ingredients so sounds like a good choice. I love the fact that the Hask products are free of: sulfates, parabens, phthalates, gluten, drying alcohol and artificial colours. I’d never heard of them before but I’ll be keeping an eye out now. This is the first time I hear this product, but looks like they have great ones. Sometimes is good to try new brands especially when the old brands decreasing their quality in their products. I’ve never heard of this brand but it definitely sounds like one that I would love. I never know what to buy when it comes to shampoo and conditioner. I am always look for great recommendations! Almond oil really helps moisturize and soften my hair. This is a new brand to me and I will definitely have to give both the shampoo and conditioner a try. This is the first time I have heard of this brand. It looks like some great products though. I definitely want to try this. It sounds amazing and the fact that smells nice is a bonus! I’ve heard a lot of great things about this line. I’m going to have to check it out. I have been looking for a new shampoo/conditioner duo as mine has really been drying out my hair. Hask sounds like just the thing. First time hearing about this brand but I’m always looking for a good shampoo and conditioner. I definitely want to try this. It sounds like it would work really well on my hair type, and the fact that it smells nice is a happy bonus! Never heard of this brand, but sounds good! Love learning about new hair products that are good for your hair and also smell great! I bet this smells so good! I’d love to try the root thickening spray for spring. I love the smell of mint. I would love to give this a try. These looks amazing! Would love to try them out ! I like that it doesn’t have all the artificial garbage and still lathers. Most of the artificial free shampoos don’t later and I just don’t feel like my hair is clean after using them. I’m a sucker for anything with almond oil. These sound like great products. Hask has some great products! I especially love their hair masks for when I use too much heat on my hair and it gets brittle! Sounds wonderful, and something I won’t be allergic too! I haven’t heard of this product range before but I may need to check it out. Although I am not sure I need the thickening Spray as I have very thick hair naturally. A lot of people say that natural things shouldn’t smell so much but I disagree. There is just something to be said about the smell of a product which makes it enjoyable to use. I hope I can get my aunt to get me some of that in time for their visit here. Their product line sounds wonderful, especially the shampoo. Will have to take a look into them. This shampoo sounds wonderful. You know, just hearing the words almond and mint makes a person want to run out and try it right away. Looks like a great product! I wanna have a try. Will check this out! I’ve tried these products and I think they’re amazing. My hair feels a lot smoother after a few washes and it felt and looked healthy as well. I am forever seeking new beauty products. I bet this smells yummy, too, right? I would like to try it on my hair. It smells good enough to eat! This product reminds me of those thin mints that only seem to come out at Christmas time. I really like to check out mint and see what is new. I can definitely relate to having a bad hair day! I hadn’t heard of it before either but I have used some of their other products in the past. It’s a great product line. Mint would smell very nice in my hair. This sounds like a great product. Sounds like an amazing combination of shampoo and conditioner.I need to try them out for sure. I have really long hair and need a good conditioner. I will check my CVS for this. Thanks for posting where to buy it. I am in the market for a new shampoo and conditioner. This one sounds so nice. I love trying new shampoo and conditioner. This sounds like a great one. 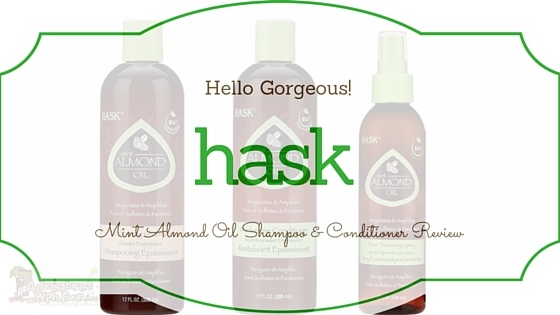 Is Hask the company that does Argan oil because if so I am a big fan love mint too! Yes the do!! That stuff is amazing as well. I definitely have to try this. I love the smell of mint, and my hair definitely needs some shine. This sounds like a great line of products. I really appreciate shampoo/conditioners that don’t weight my hair down and make it look greasy! I have never heard of this brand, but I like the sounds of it…and I’m sure it smells awesome.